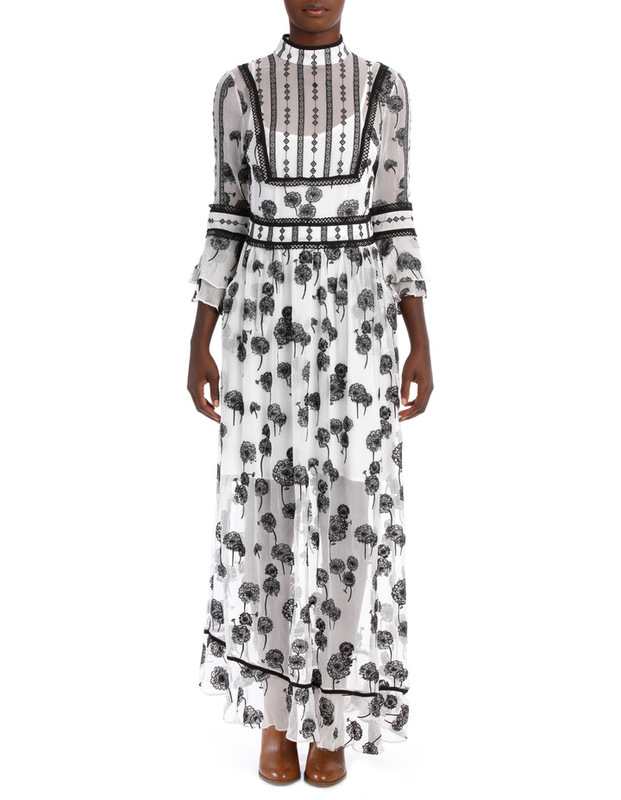 The Vivienne Maxi Dress by We Are Kindred is crafted from a delicately embroidered silk chiffon. This style features a high neckline with front yoke detailing, three-quarter frill sleeves and a fitted waistband and full maxi length skirt. This dress comes with a separate slip lining. The Dandelion embroidered chiffon is made from 100% silk.